The leader of the Yorkshire Party, Stewart Arnold, announced his resignation. “Because Brexit is so dominating the news as you know it’s been difficult to get other issues, such as Yorkshire devolution, discussed and implemented by Government” he said. As they define themselves, “the Yorkshire Party is a regionalist political party in Yorkshire that campaigns for the establishment of a Yorkshire Parliament or Assembly within the UK”. 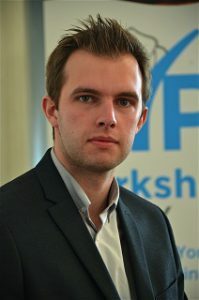 Arnold was one of the founders of the party five years ago, being his leader for nearly three years and deputy leader two years. His retirement marks the need of the party to adapt their discourse in order to do not be silenced by the Brexit and its consequences. “In those circumstances (refering to Brexit) it will be good to have someone with new ideas and fresh energy leading the party” said Arnold. “There are very many able people in the party now and I leave the leadership in capable hands” he assure. The new leader of the party. The person who will substitute him is Chris Whitwood, the deputy leader of the party. Although is much younger than his predecessor, he is being in the party since the beginning. 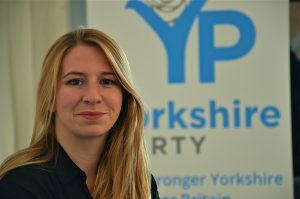 At the same time, to replace Whitwood in his old charge, Laura Walker became the new deputy leader. “Quite simply. I neared my 61st birthday and I thought it was the opportunity to stand down”.